Hi all! I have some more Leadership samples to share with you today. I had planned on sharing a different set this week, but one of my pictures is missing. So, be sure to come back next week to see those awesome projects. 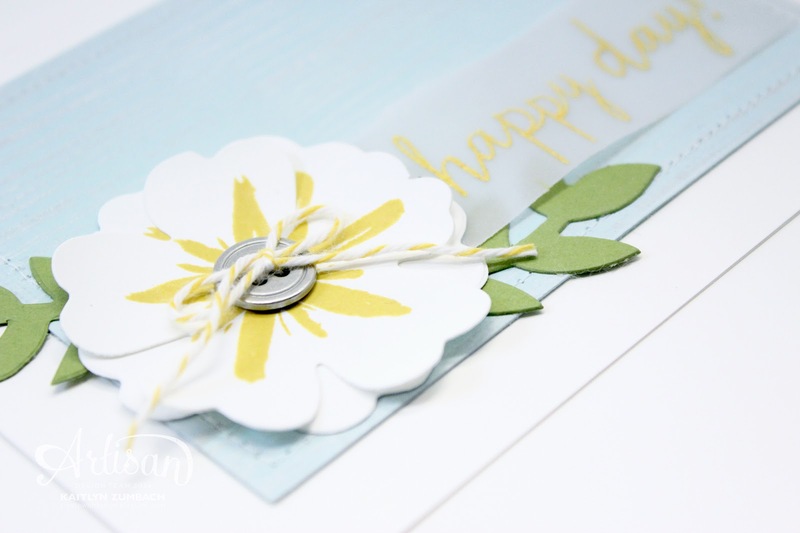 The set of samples I have to share with you today features the Build a Bouquet stamp set. This first picture is a scrapbook page featuring my adorable parents. 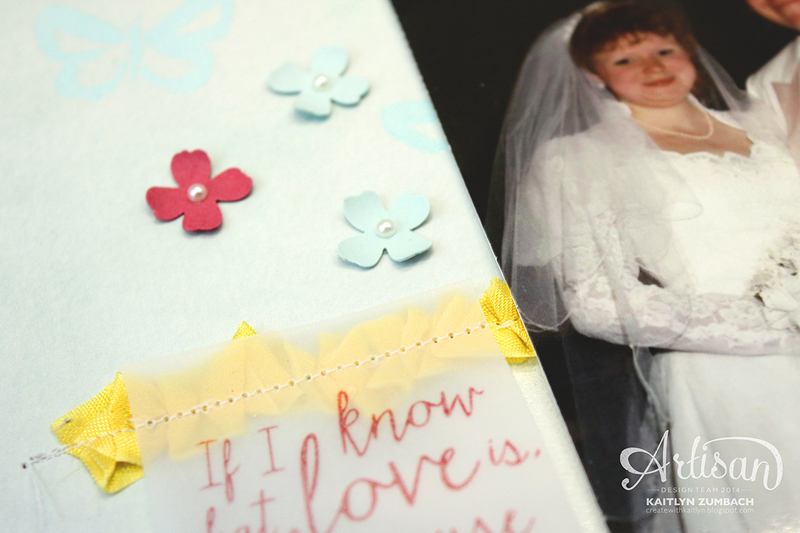 This sentiment that is included in the stamp set just calls to paired with a wedding picture. There isn't anything too crazy on this page. 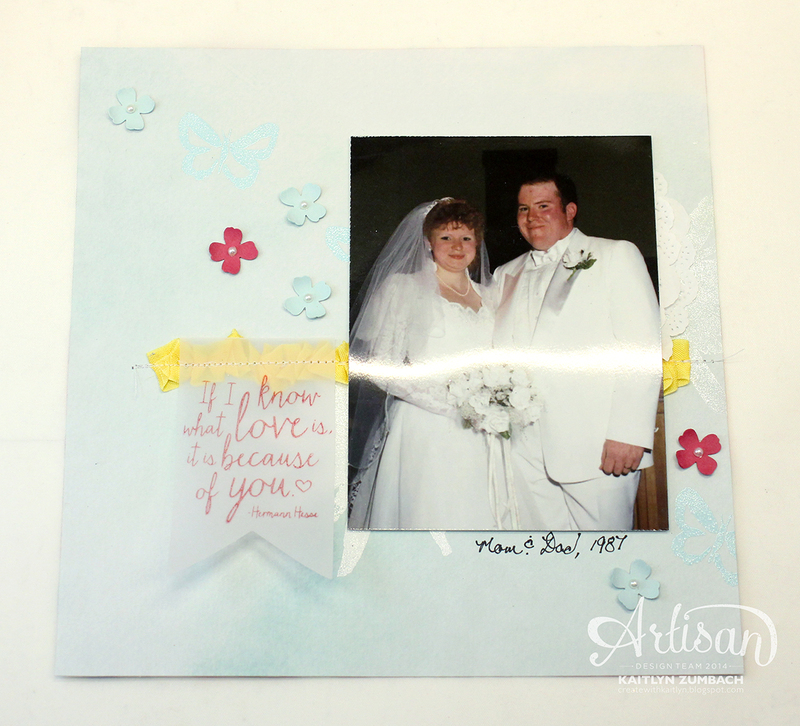 The soft colors and flowers from the Itty Bitty Accents Punch Pack come together for a really pretty page. I was really happy with how this card turned out! The flower and leafs come from the Bouquet Bigz Die - this is a must have! I stamped the Soft Sky card stock with the organic lines image in White Craft Ink. 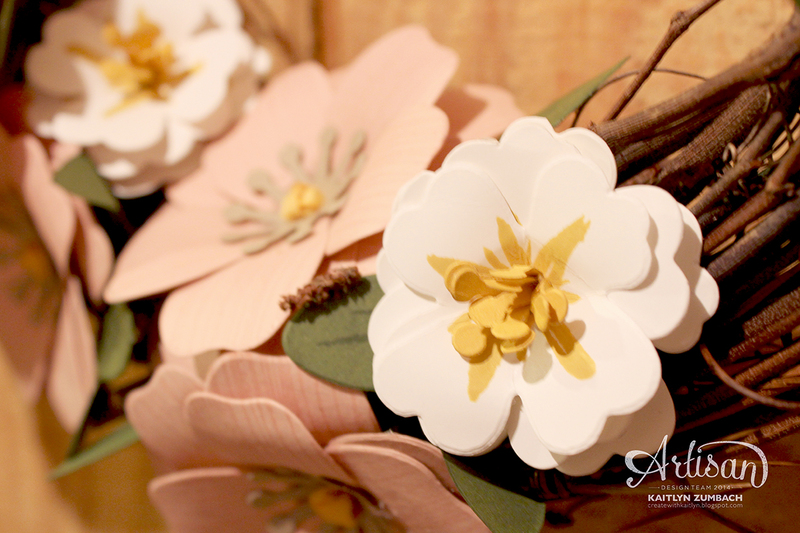 This turned out to be really soft and subtle, which really lets the flower shine! This last project is probably my favorite out of all the samples that I made! I just couldn't resist making flowers with the Bouquet Bigz Die to make a wreath. I just picked up the twig wreath form and hot glued my flowers to it. Each flower has lots of layers with some stamping, but there is nothing challenging about making them as the die does most of the work. 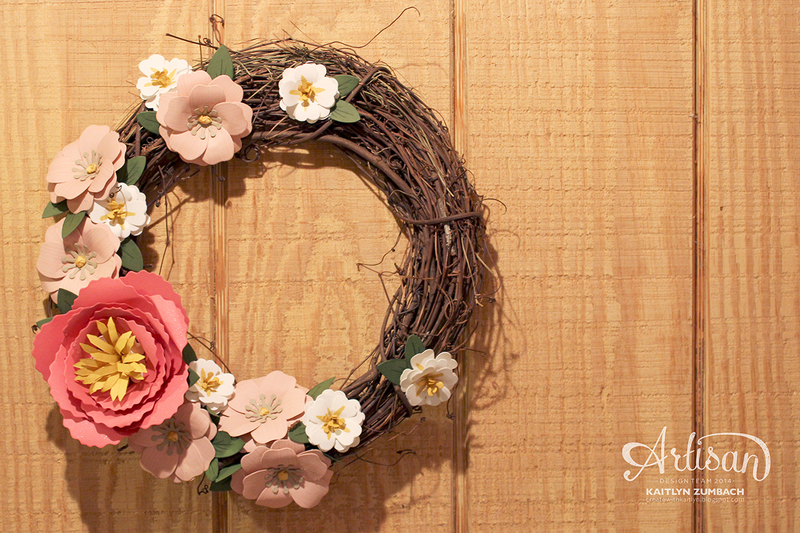 This was a lot of fun to make and is perfect for spring! Be sure to use the blog roll below to see what the other North American Artisans made for Leadership!